Adnia A. Fisher was born on 8 February 1867 in New York. She married James L. Wilson, son of Peter M. Wilson and Margaret Simpson, circa 1884. 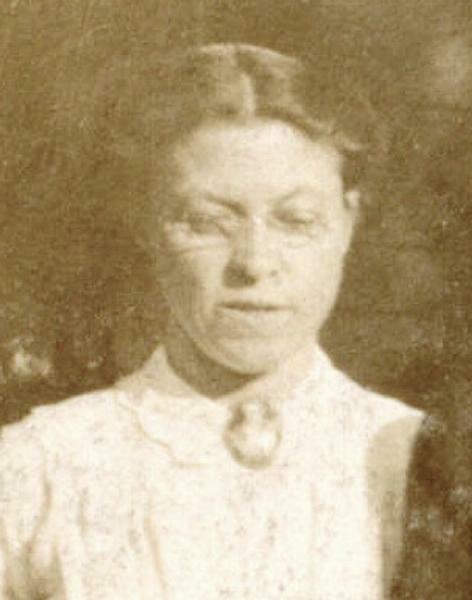 Adnia A. Fisher became a widow at the 7 November 1924 death of her husband James L. Wilson. Adnia A. Fisher appeared in the US federal census of 1 April 1930 in Buffalo, Erie County, New York, at 250 Wellington Avenue living alone, with one male lodger. Adnia A. Fisher died on 19 October 1954 at age 87. A single grave marker identifies the graves of Peter M. Wilson and Margaret Simpson and Adnia A. Fisher, Jean Craig Wilson, James L. Wilson and Christina S. Wilson.